One of the most important qualities for a camera, I’ve discovered through the years, are its size, portability, and its ruggedness. Fitting in a pocket is the ideal size for cameras, for what I want to use them. For having them with me at all times. Before we get too far on this conversation, here goes an important disclaimer: I’m not a professional photographer, I’m just someone who likes to document things. How this habit of mine started? My first camera was a Kodak Instamatic. 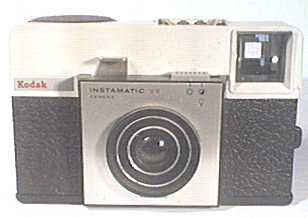 I found this nice blurb in Wikipedia: “The Instamatic was a series of inexpensive, easy-to-load 126 and 110 cameras made by Kodak beginning in 1963. The Instamatic was immensely successful, introducing a generation to low-cost photography and spawning numerous imitators. During its heyday, the range was so ubiquitous that the Instamatic name is still frequently used (erroneously) to refer to any inexpensive point and shoot camera.” The photo below is not from my Instamatic, but it is the same model as the one I used to have (I actually still have it somewhere). My Instamatic was a hand-me-down, from my cousin Ana Luisa. It was a popular camera in the 70’s. I probably got it in the late 70’s or early 80’s. 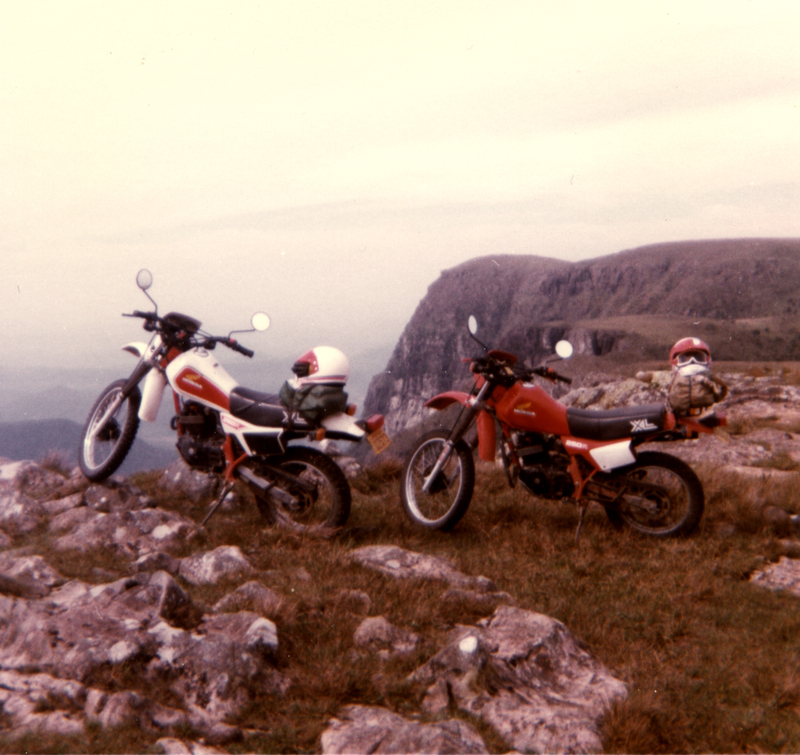 Below is a photo I took in 1984, using the Instamatic, on one of my first adventure rides. My bike was the red XL250R. The white one belonged to my friend João Müller. Around that time I took my only photography class. It was a Kodak sponsored event, on a large auditorium. 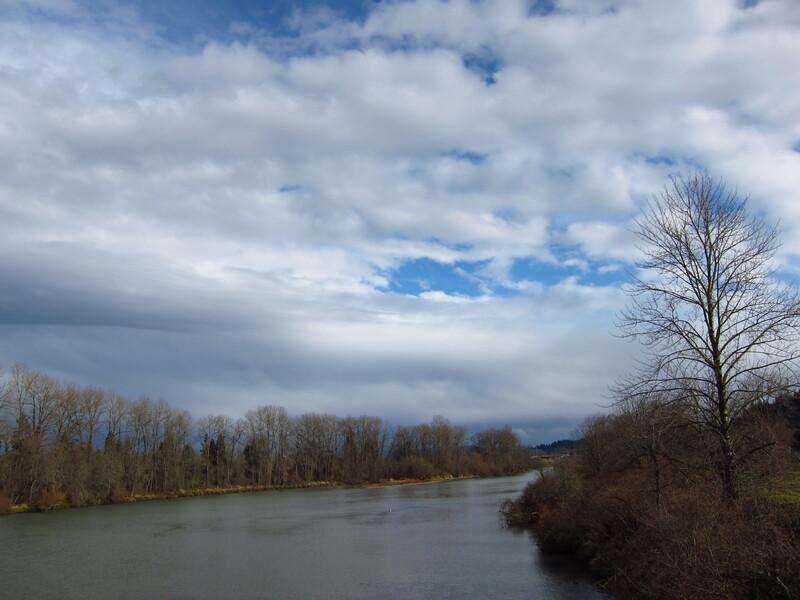 Illustrated by a slide show, I learned the basics of composition, the trade-off between aperture and shutter speed, focal distance, and the basic elements of light. Kodak distributed a pocket book with all the main information summarized. I still have that booklet. It served me very well along the early years, when I was basically learning by doing, but with a solid knowledge of the basics. But to really put in practice what I had learned, in 1987 a went through a major upgrade in photography capacity. 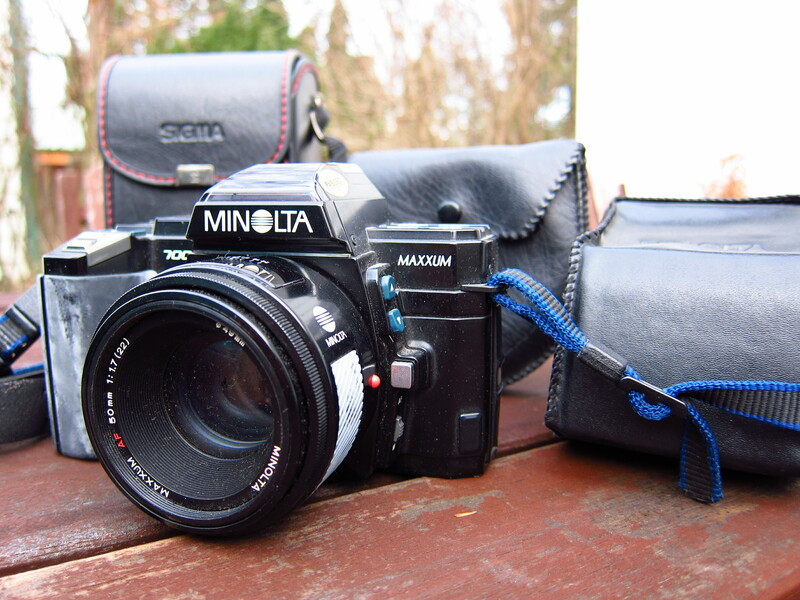 I bought a Minolta Maxxum 7000, with a SIGMA 28-200mm zoom lens. Today, I always have a camera with me. Now with the I-Phone 4, it has become easier to keep up with this habit, and with my recently acquired S95, portability has almost completely lost its trade off of quality and capability. But I’m getting ahead of myself here. Long before we got to this level of technology capacity and portability, I took the Minolta Maxxum to as many places as I could. It toured Europe with me several times, it hiked down the South Kaibab Trail all the way to the Colorado River in the Grand Canyon, and then back up to the top of the South Rim via the Bright Angel Trail, the same day. It helped me document beautiful landscapes in about 20 U.S. National Parks. It went to all my many regular trips to Brazil. It went to the top of the World Trade Center with me. Twice. I’ve taken the photo below in 1987 or 1988 with the Minolta, using the 28-200 mm Sigma lens, at 28mm (this is a photo of the original photo). 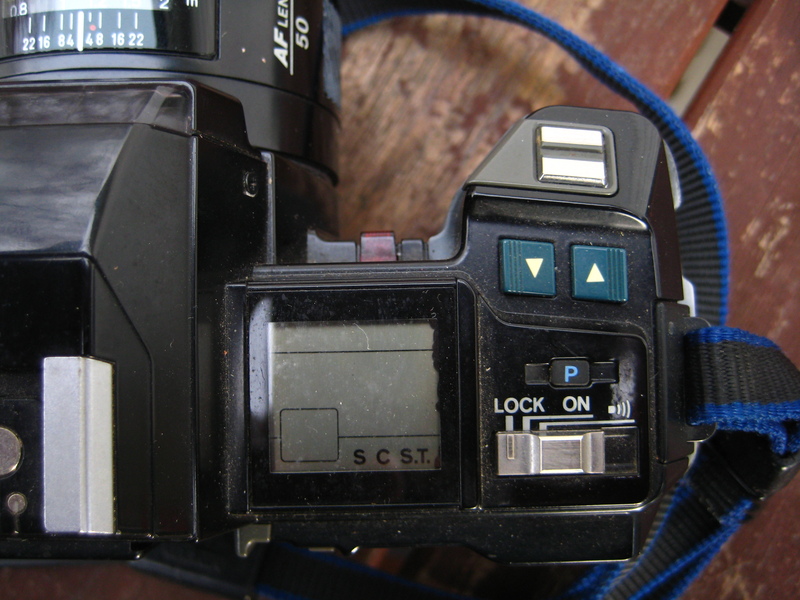 …and another set of buttons on the left side, by the lens. 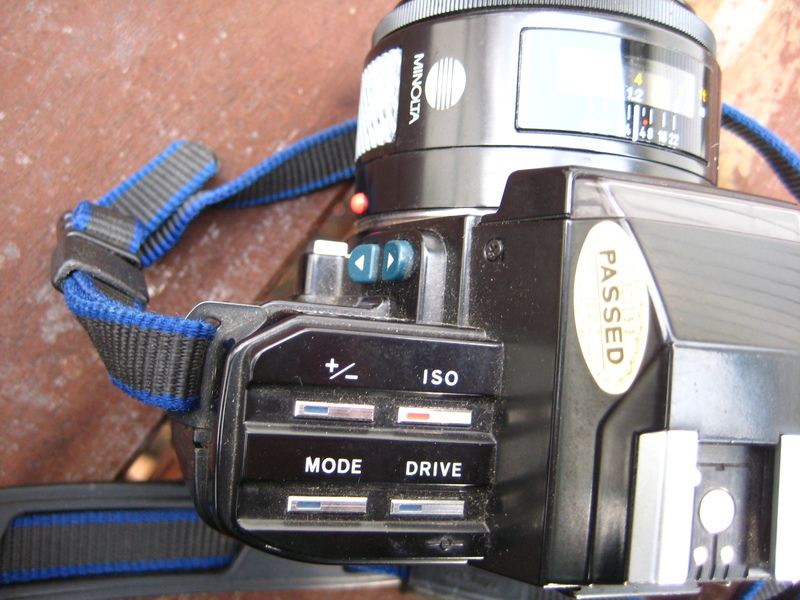 The two sets of four blue buttons were managed by the four buttons on the left top, which provided short cuts to aperture and speed priority modes, fully automatic and fully manual, as well as a nice short cut to on-the-fly f-top +/- operation. With all these nice and easy controls, this camera was my best photography teacher, after having learned the basics from that Kodak lecture. But its size, including the Sigma zoom lens I used almost all the time with it, eventually led me to seek for alternatives. 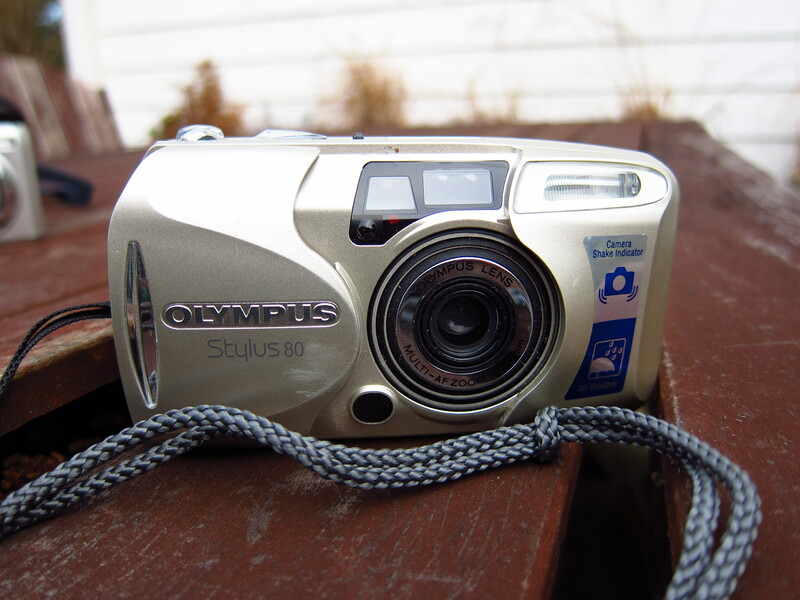 In the 90’s I acquired a sidekick camera to the Minolta, an Olympus Stylus 80, a point-and-shoot camera. At some point the Olympus Stylus 80 was doing the documenting job almost exclusively. There was a clear drop on quality, though. But the trade-off is that I gained the obvious capacity of really and easily carrying the camera with me at all times. The point-and-shoot cameras were on a steep improvement curve in the early nineties. But thank you to people who brought photography to the digital era! Since the digital era, I’ve been operating exclusively with point-and-shoot cameras. I started with the Canon PowerShot SD110. See how beat up this camera is? It was a lot smaller than the Olympus camera. 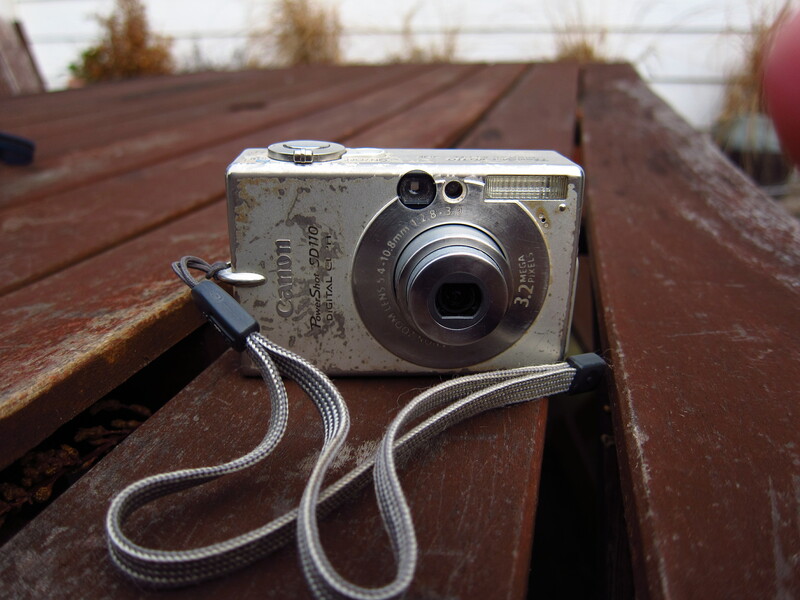 And it was digital, and although only at 3.2 megapixels, it produced better results than the 35mm film-based Olympus. And providing instant gratification along the way! Night and day. Digital cameras were my nextphotography teacher. 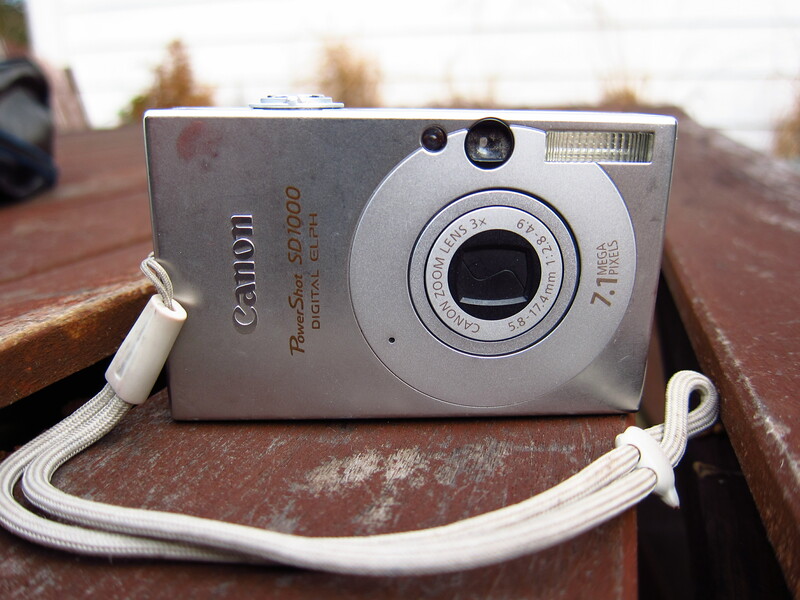 When the SD110 died, after thousands of photographs and lots of abuse, I acquired the Canon PowerShot SD1000. This camera was a good upgrade, with more than double the megapixels of the SD110, and an upgrade on the sensor and processor. 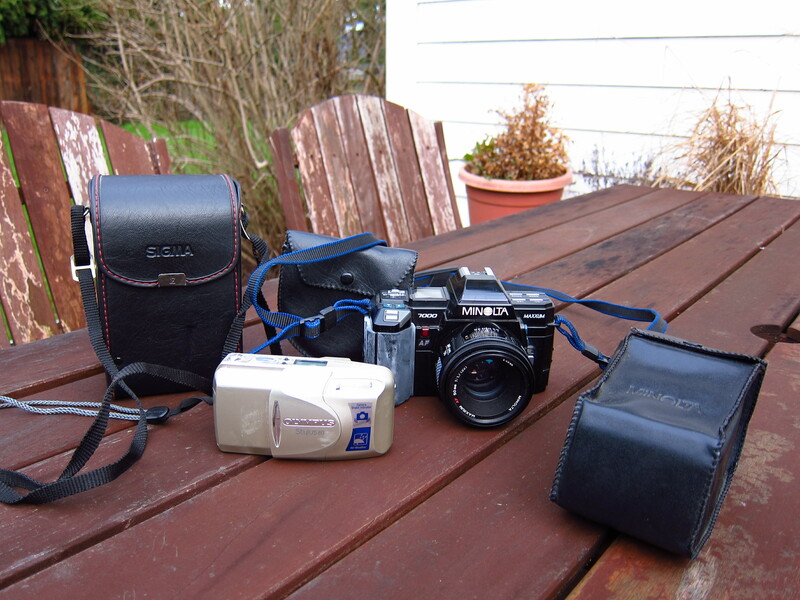 I also purchased another camera, a backup that used regular AA batteries. The idea was to make sure, if I’m on a long ride and the Canon had a problem (you know, the SD110 died), or Canon’s rechargeable battery needed a charge in the middle of nowhere, a camera that used regular batteries would come handy. 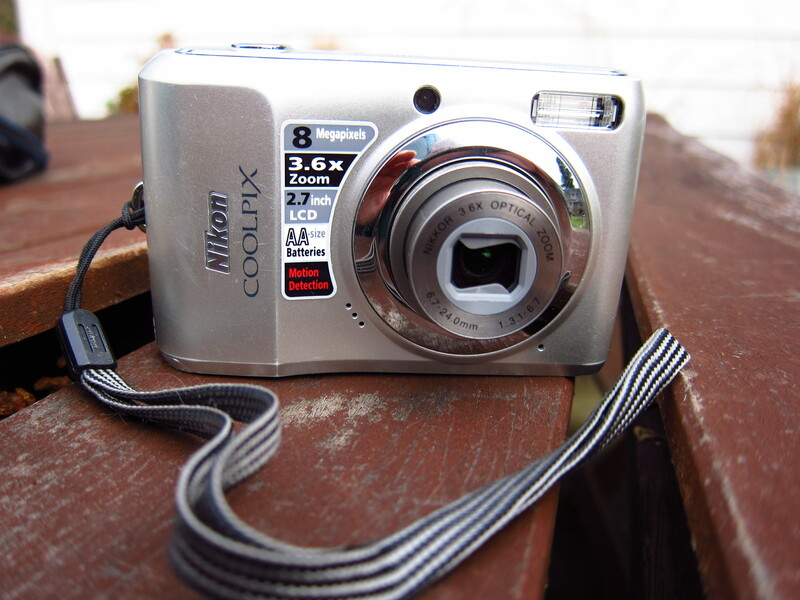 Here is the very inexpensive 8 megapixels Nikon Coolpix I purchased. I seldom use this camera, I have taken less than 2,000 pictures with it in three years since I bought it. But it has served well as a good back up camera. I like better, or have gotten more used to, the Canon interface or navigation process to access the many features cameras pack these days. So the Canon always remained as my official camera. Most of the pictures you see on this site, about 99% of them, have been taken with the SD1000. Up to now, there is. Because the point-and-shoot cameras have evolved very well in the last few years, and a few choices are available that offer great potential for great quality photography. We are not talking today’s DSLR quality here. But they come close enough. That’s where the S95 gets in the picture, pun intended. I’ve taken a look at a few of the so called 3/4’s cameras, which are non SLR type cameras, are small, and allow you to take advantage of the great gains you can get from using interchangeable lenses. There are also cameras that are large point-and-shoot cameras. They do not allow you to change lenses, but offer similar results to the 3/4’s cameras such as the Canon G series cameras. I looked long and with close scrutiny at all these cameras as a possible upgrade to my SD1000. Something that would avoid the bulk of a DSLR, but offering near DSLR quality. Well, once I saw these cameras in person, they are all very nice looking cameras, the results are fantastic, but unfortunately they are still too large for a pocket. The reality is, if you are going to invest on a 3/4’s camera, unless you use exclusively one of the pancake lenses available (fixed, low and wide focal range), these cameras are still too large for a pocket. Well, even with a pancake lens, they are large. Same thing goes for the Canon G12, my up to then closest candidate for the upgrade. 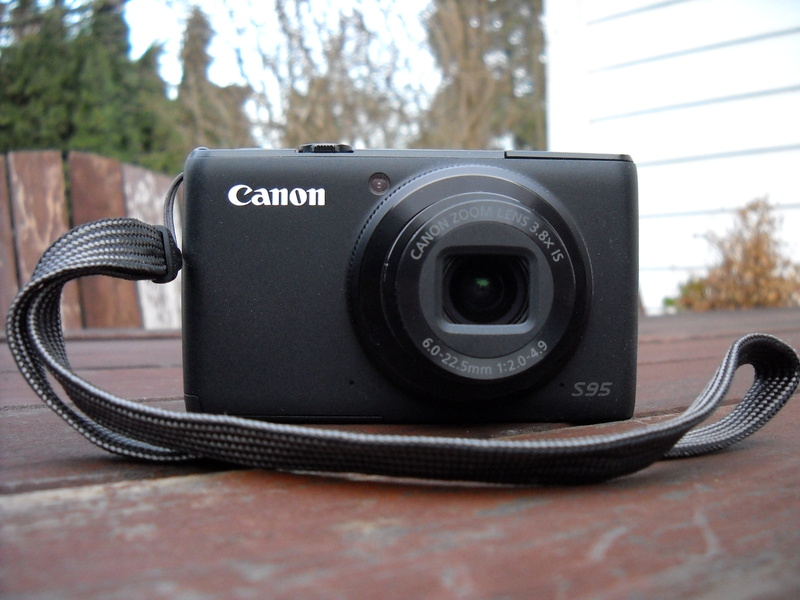 That’s when I came across several favorable reviews of the Canon PowerShot S90 and more recently its upgrade, the S95. It is photography bliss to me: good enough quality on a small and portable package. Is it going to be as rugged as the SD110 and SD1000 have been to me? It remains to be seen. The S95 is now my primary camera. And it will remain my primary camera for when portability is important. As a secondary result of my recent research on all things camera related, I have now my eyes set on the Canon 600D (or Rebel T3i as it is called in the U.S.) as the camera to have for special occasions, when results are more important than portability. The T3i is an affordable and greatly packaged DSLR. For people who like photography, we are in for good times with all the many camera options becoming available these days. The speed in which technology is incorporated and cameras are upgraded is phenomenal.